So, you have developed an impressive mobile app and have successfully uploaded it to the Play Store too! But, what next? You cannot leave it to luck and assume that people will download and use it! Your actual work begins after the Android Apps Development cycle has been completed. You will now need to work on making the app known so that it gets the popularity it deserves. Creating a pre-launch campaign is a great way to increasing your app downloads. In this way, you can create an awareness of your app even before you release it. Make a big announcement of your upcoming app and constantly engage your customers with new updates and announcements regarding the launch. Build a mailing list for this purpose and allow a few ‘lucky’ customers to become beta testers for the app. 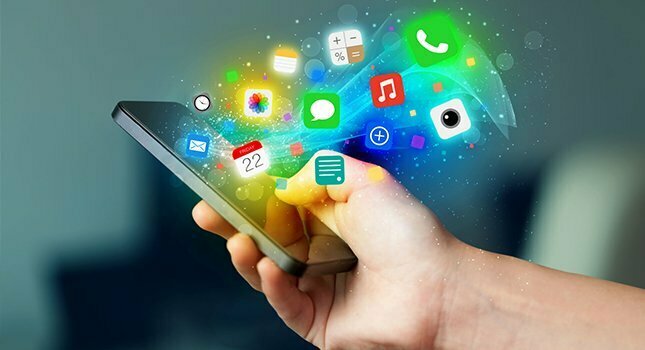 Publishing press releases, blogs and videos about your app can greatly boost your pre-launch campaign is another great way to boost your app downloads. App store optimization is the key to increase mobile app rankings. There are a number of factors that affect app store rankings. Firstly, make sure that the app name is appropriate. Along with your brand name, make sure that you use your strongest keyword in the app name. Secondly, ensure that you include a list of keywords in the app description and other texts that go along with the app. This ensures that the customers looking for those keywords are able to find your app easily. The third most important point is to include ratings and reviews. The more the number of reviews, the better is your app’s ranking on the app store. Finally, make sure that the app description you create is compelling. Focus on the value proposition it has for your customer and how the app is beneficial for them. Create a separate web page for your app and make sure that you link it to your website. This way visitors to your website will get a convenient link to the app page where they can download the app. Moreover, make sure that the app page that you have created has all the relevant keywords and links that boost search engine optimization. This way your app will be easily found on Google too, and your app downloads will definitely improve. Social media is one of the best ways to promote your app. Share interesting posts on Facebook, LinkedIn, Twitter, Pinterest etc. and reach out to your target audience. Make sure that you share the app link so your users can easily download your app! Always remember that App Store Optimization, Social media promotion and all other types of marketing efforts is not a onetime process. Hard work and a great marketing plan will definitely get you there, but only persistence will help you maintain your rankings and in turn increase the number of downloads for your app!